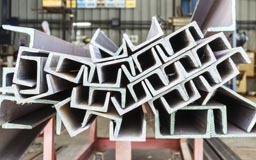 Steel Angles & Steel Channels, Mild Steel H Beam & I Beam, Steel Equal Angle & Unequal Angle Supplier & Exporter in India. 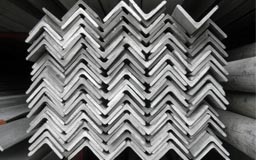 We have gained wide acclamation for offering reliable quality stainless steel angles and channels which are known for their durability, finish and rust resistance. The products we offer are developed under the supervision of experienced quality controllers in accordance with the norms and guidelines. 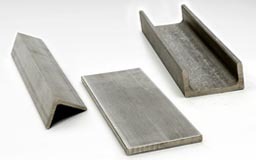 Our range of Angles, & Channels are available in Equal & Un-Equal sizes, & Thickness. Moreover, we can also provide custom-built angles & channels as per the specifications provided by customers. STAINLESS STEEL 304, 304L, 304H, 310S, 310H, 316, 316TI, 316L, 316H, 316LN, 317, 317L, 321, 347, 904L etc. DUPLEX & SUPER DUPLEX STAINLESS STEEL S31803, S32205, S32750, S32760 etc. CARBON STEEL ATSM A283, A285, A515, ASTM 516, ASTM A105, ASTM A234, LF1, LF2, ASTM A106, ASTM A333, ASTM A53, API 5L etc. COPPER & COPPER ALLOYS COPPER NICKEL 90/10, COPPER NICKEL 70/30, BRASS, BRONZE, PHOSPHOR BRONZE etc. Antananarivo, Egypt, Subra al-Haymah, Cameroon, London, Russia, Pretoria, Africa, Tripoli, Houston, Casablanca, Khartoum, Rabat, Maputo, Johannesburg, Kaduna, Yaoundé, Yemen, Thailand (Bangkok), Chine, Vietnam, Algeria, Kano, Lebanon, Omdurman, Morocco, Venezuela, Kuwait, Abu Dhabi, Dubai, Cape Town, Fez, Ibadan, Sudan, Colombia, Ethiopa, Peru, Mozambique, South Africa, Uganda, Port Harcourt, Kampala, Oman, Australia, Accra, Alexandria, Soweto, Malaysia, Angola, Conakry, Maiduguri, Brazzaville, Nairobi, Dakar, Lagos, Algiers, Freetown, Singapore, Mbuji-Mayi, Tunisia, Cairo, UK, Bamako, Luanda, Jordan, Ghana, Argentina, United States, Germany, Brazil, Bulawayo, Bahrain, Nigeria, Douala, Israel, Kinshasa, Qatar, Dar es Salaam, Democratic Republic of the Congo, Mexico, Cyprus, UAE, Zaria, Turkey, Addis Ababa, Kolwezi, Hong Kong, Trinidad and Tobago, Durban, Ouagadougou, Kazakhstan, Colombo, Giza, New Zealand, Lubumbashi, Italy, Canada, Abidjan, Mogadishu, Iran, New York, Harare, Sri Lanka, Benin, Azerbaijan, Indonesia, Iraq, Port Elizabeth, Saudi Arabia. Uganda, Democratic Republic of the Congo, Dakar, Luanda, Ouagadougou, India, Abu Dhabi, Bundi, Port Harcourt, Venezuela, Fez, Omdurman, Abidjan, Pretoria, Algiers, Kampala, Khartoum, Lucknow, Andhra Pradesh, Harare, Mizoram, Benin, Casablanca, Subra al-Haymah, Udgir, Accra, Lubumbashi, Soweto, Durban, Ambala, Rabat, Suryapet, Pune, Jordan, Morocco, Cairo, Oman, Bhiwadi, Maharashtra, Bansberia, Dar es Salaam, Yemen, Jamalpur, Qatar, Singapore, Kano, Tadepalligudem, Angola, Ballia, Tripoli, Giza, Antananarivo, Kaduna, Bamako, Kerala, Miryalaguda, Jaipur, Thailand (Bangkok), Mbuji-Mayi, Port Elizabeth, Chennai, New York, Conakry, Maiduguri, Bulawayo, Hyderabad, Cyprus, Kolkata, Maputo, Manipur, Mumbai, Lagos, Betul, Muktsar, Benin, Russia, Ghana, Colombo, Johannesburg, Sadar, Addis Ababa, Mozambique, Brazzaville, Buxar, Tripura, Douala, Surat, Mogadishu, Lebanon, Alexandria, Freetown, Nairobi, Nagapattinam, Kolwezi, Puducherry, Delhi, Ibadan, Cameroon, Baraut, Ahmedabad, Bangalore, Cape Town, Kinshasa, Hong Kong, Yaoundé, Ethiopa, Zaria, Algeria, Karnataka.